While your preschooler probably isn't reading yet, there are some older little ones (in the four- to five-year-old age group) who are likely very interested in books and how to read them. Taking an interest in words around them on signs, logos, etc. Once your child starts to show these signs, you can start practicing reading, working on sight words, and some of the reading activities for preschoolers listed below. It's important to pay attention to the cues that your preschooler is giving you. Learning to read, while ultimately rewarding, can be a frustrating, time-consuming process. If you find your child is getting tired or cranky, take a break and try again another day. Read books that offer a lot of repeated lines and phrases. 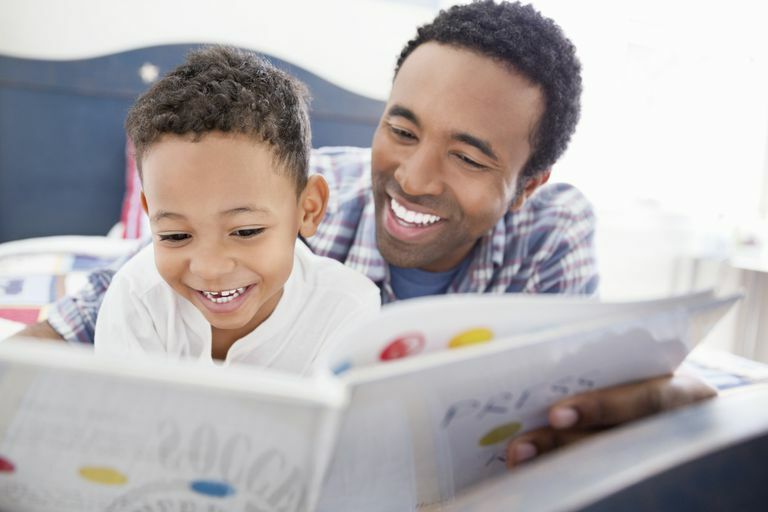 Repetition helps your child remember what comes next and lets them take an active role in your reading aloud sessions. As you are reading, let your child fill in some blanks. After a while, your child will likely become familiar with the story. When a child is able to recite a book (or most of one) word for word, it builds their confidence. It takes courage to learn to read and using books that offer repetition is a great way to have your child feel good about what they are doing. As you are reading a new book, pause every so often and ask your child what he or she thinks will happen next. Getting your child to think critically about a book, beyond what they have read on the page, is a great skill that will help them with comprehension down the line. When you talk about a story with your child, you are helping them build their vocabulary, and helping them to make sense of what is going on. Draw attention to the words your preschooler sees every day. Any time you see a word, whether it is in the car on a passing sign, or just walking around, point it out and read it to your preschooler. Making a shopping list? Let your preschooler help by writing the words as you dictate the letters. Ask your preschooler to tell you a story. Write it down (clearly) so you can read it back to your preschooler later. Point to each word as you say it. If you can, put it into book format with pictures. Pull out a bunch of old magazines and a pair of safety scissors. Together with your preschooler, cut out words you find. See if you can find a picture to match. Alternatively, you can cut individual letters out to make words. Let your preschooler know that everything has a word associated with it, by making labels in your house. Take index cards and tape and note everything—the couch, the bathtub, the refrigerator, etc. Eventually, your preschooler will absorb these words and be able to recognize them out of context in books, on signs, etc. Ask friends or relatives to send your preschooler cards and letters that you can read together. Make sure the handwriting is clear and legible and that the words are easy to understand. Once you are finished reading, help your preschooler write back to his or her new pen pal.